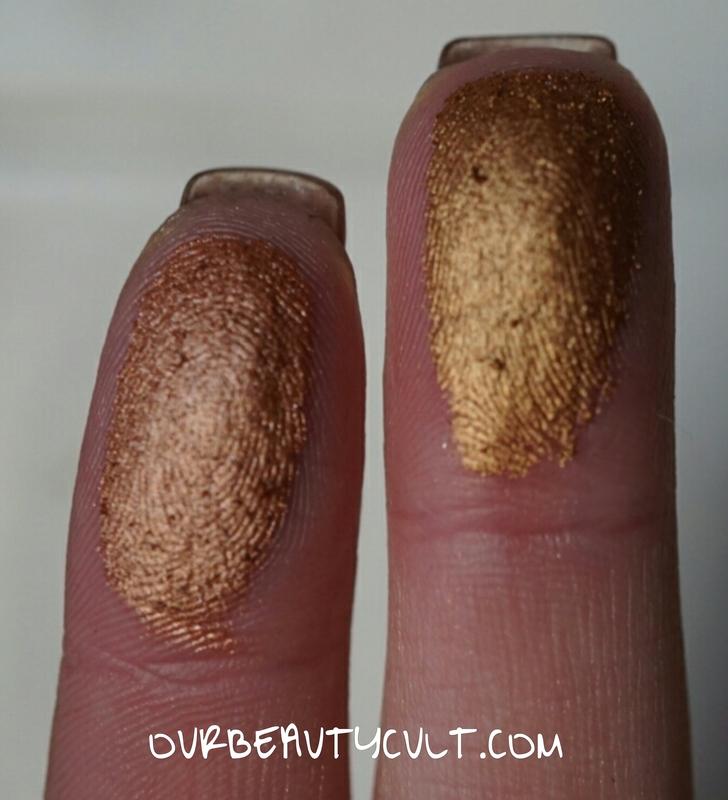 Yesterday I posted the berry tones and today we’re looking at the golds! As mentioned previously, we do have a discount code BEAUTYCULT that will save you some money (affil)! These shadows come in individual compacts and retail for $6.99. They have the typical ‘foiled’ formula but they apply easily with a brush. They’re long wearing and on me they don’t crease. But I have dry skin so oily girls will want to prime. NEW YEAR, NEW ME! is white gold. PHAROAH is medium yellow gold. CHEERS TO LIFE is a light, muted orange copper. SANDSTORM is a taupey bronze. YAS! is a dark chocolate brown with cranberry undertones. 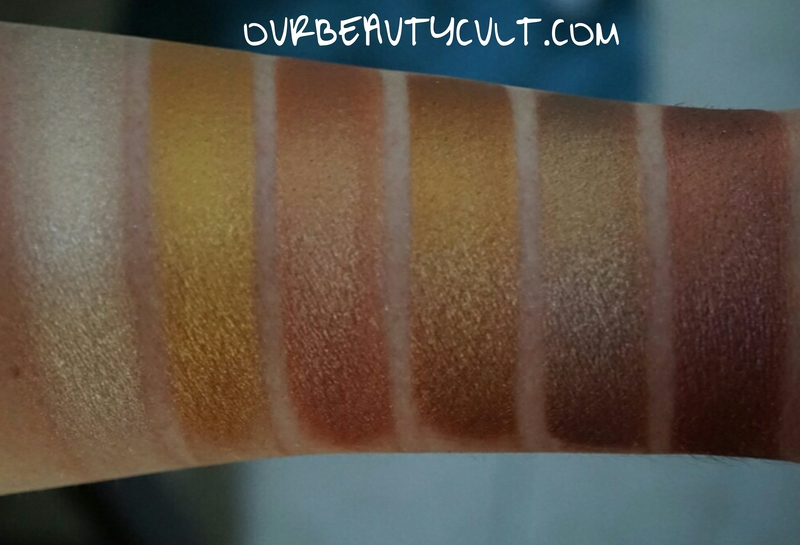 The formula was very consistent in all 12 shades that I sampled. I noticed very little, if any, variation from shade to shade. 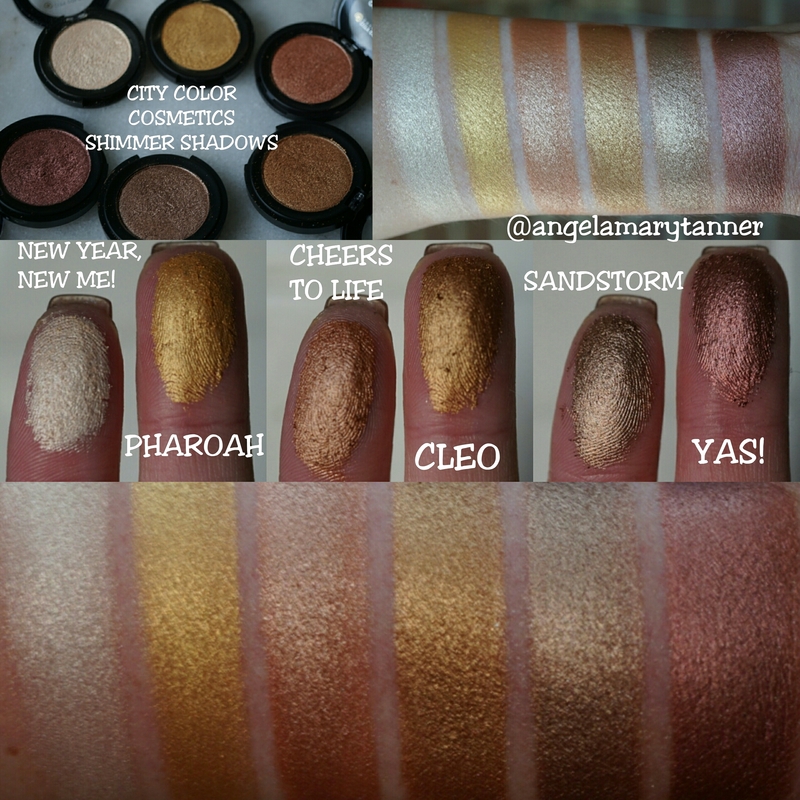 My favorites out of these 6 are SANDSTORM and YAS! And I really love all the berry tones that I shared yesterday. I believe CITY COLOR has about 24 of the shadows and I would definitely try more in the future. 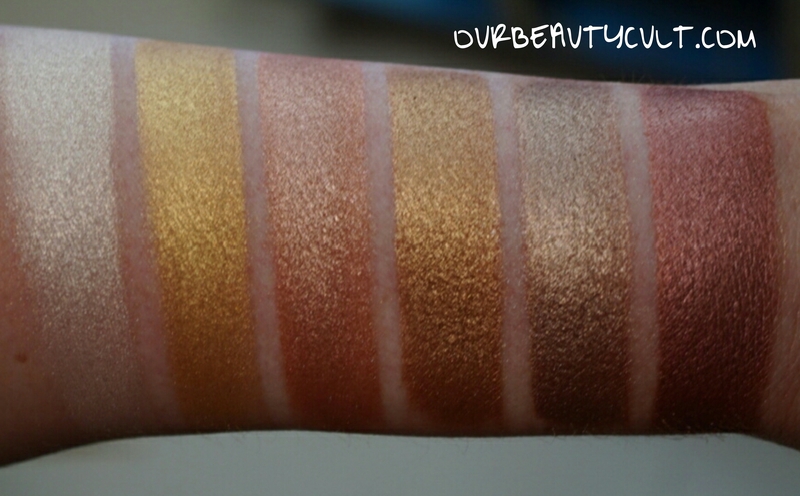 I love a good metallic shadow and you really can’t beat the price! Next Looxi Beauty “Rebel Rose” highliter!! These shadows are magnificent! They look so highly pigmented! I absolutely love them! Great post!